Start your camper adventure as soon as your plane lands! 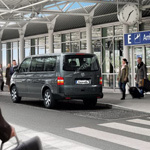 We offer one way or return transfers from selected airports and train stations from our conveniently located depots. Our bedding kits for hire are available in single and double sets. 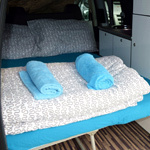 When you rent a bedding kit, each kit includes a duvet, pillow, bedding and towel per person. 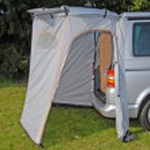 Ideal for sitting outside your campervan or taking to the beach! With easy set-up and take down, these store away easily. 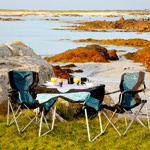 Perfect for a spontaneous, al fresco dining, lounging, taking in the scenery or playing games! Don’t trust the signposts? 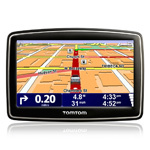 Hire a GPS to guide you on the open road. Plus, many of the campsites in our camping guides have GPS coordinates! 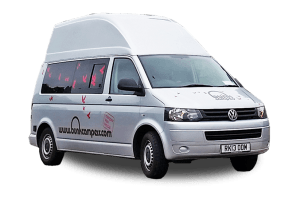 You can hire GPS for our VW campervans; the Roadie, Nomad and Ranger. 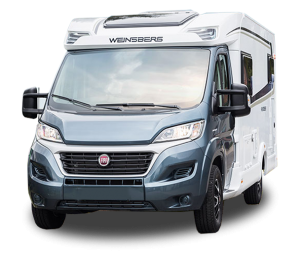 All of our other campervans and motorhomes come equipped with GPS as standard. 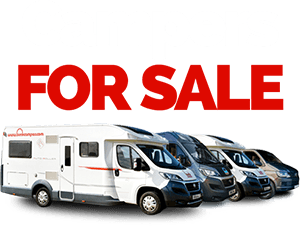 All of our campervans & motorhomes will come equipped with a gas kettle as standard. Why not add a microwave and make your camper cooking even easier? 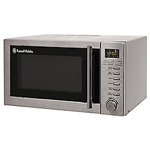 Our electronic appliances are PAT tested for safety and security. 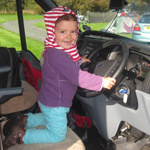 You can hire a full range of child seats from Group 0 upwards. All of our vehicles have at least 2 forward facing seats. 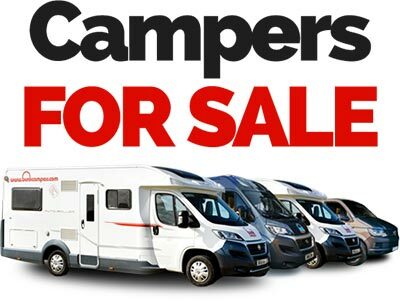 Depots have limited supply's so book alongside your campervan holiday to secure your hire. As part of our environmentally friendly programme, Being Green, we provide a bottle of camping gas as the previous customer left it. 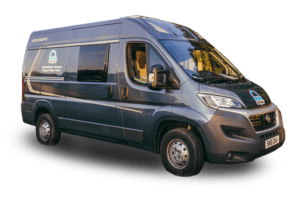 Depending on how often you'll be hooked up to an external power outlet, gas can power most of the amenities in your campervan or motorhome. 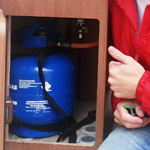 If you're going to be on the road more than just parked in a camp site, get a full bottle of gas for cooking and heating. Don't be caught in the outdoors! 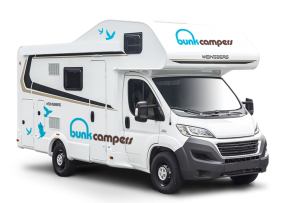 The Comfort Pack includes a tailgate tent and portable toilet to your Roadie, Nomad or Ranger VW campervan to extend your space and give yourself more privacy. Perfectly set up for changing on the beach, a private toilet extension or storage solution. 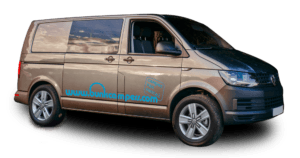 Our Aero, Aero Plus, Vista, Vista Plus, Grande & Europa campervans come equipped with on board toilet facilities. 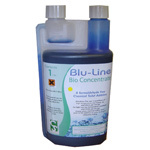 Add toilet chemicals to your booking to keep things nice and fresh! Looking for the ultimate outdoor adventure? 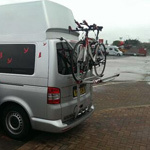 Whilst we don't offer bike racks as a hireable extra, three of our campervans come equipped with bike racks as standard. 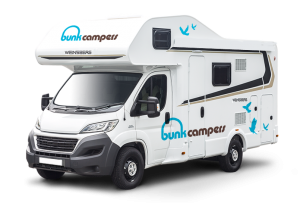 Hire out a Nomad, Vista or Grande and explore incredible landscapes off the beaten track, or visit the shop to stock up on essentials or dinner while you plug in at a campsite. 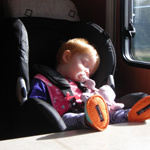 Road trips can be tiring for the driver and it can become dangerous if the driver is fatigued. Add cover for additional drivers and share the excitement of the open road with everyone on your road trip! 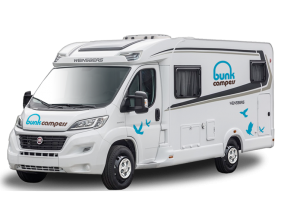 Go further in your camper! 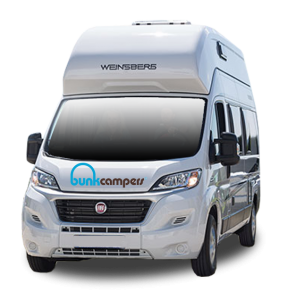 European cover is mandatory to take your Bunk Camper to mainland Europe and must be booked at least two weeks prior the rental. It is not available to drivers aged 21-24. 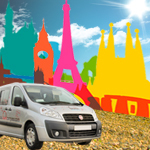 Please see our terms and conditions for a full list of countries permitted for European travel. 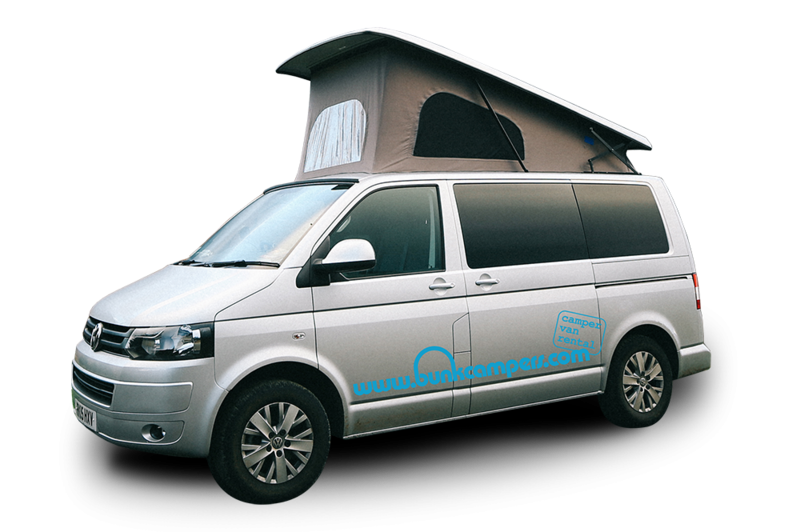 Modern VW Camper, Classic Road Trip!